It is possible to make an appointment to see Ryokaku-tei and Hito-tei up close, but the requirements for a reservation are strictly enforced. 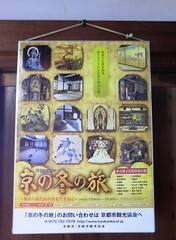 Groups of 5 people or more may make a reservation and the cost of this special tour is ¥1,000 per person. Guests living in Japan are usually asked to make a reservation by way of a reply-paid postcard (往復はがき), but guests from out of the country may express interest in making a reservation via e-mail. If you require a foreign-language tour, we ask that you allow some flexibility in the scheduling of your visit so that we can find a day when one of our foreign staff members will be able to assist you. Due to the necessity of this type of preparation, we ask that you contact us at least a month in advanced so that we can make sure everything is scheduled appropriately. Disclaimer: Guests are not permitted to take pictures during the tour! The photos here are a special exception. Here are the photos of Hito-tei I promised! 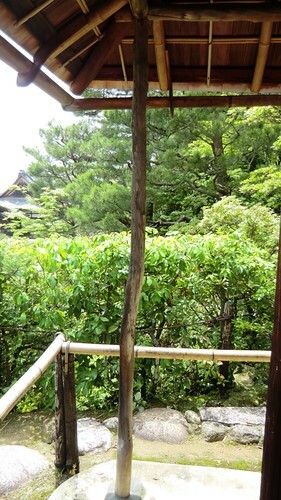 You can see Hito-tei as you enjoy the view of the North Garden from Shinden, and it is even more beautiful up close! 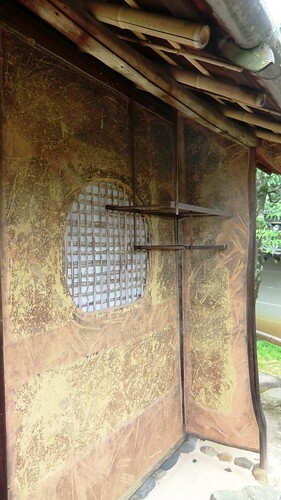 The round window and shelf for hanging katana outside before entering the tea room. This window is designed so that when katana are placed horizontally on the shelf, it looks as though clouds are floating over the moon from the inside of the room. I thought the use of a gently curving branch as-is for a support was particularly beautiful. It is possible to make an appointment to see Ryokaku-tei and Hito-tei up close, but the requirements for a reservation are strictly enforced. 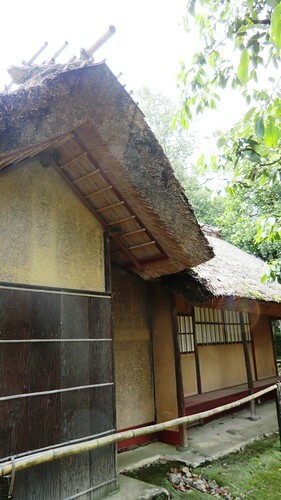 Groups of 5 people or more may make a reservation, and the cost of this special tour is ¥1,000 per person. Guests living in Japan are usually asked to make a reservation by way of a reply-paid postcard (往復はがき), but guests from out of the country may express interest in making a reservation via e-mail. If you require a foreign-language tour, we ask that you allow some flexibility in the scheduling of your visit so that we can find a day when one of our foreign staff members will be able to assist you. Due to the necessity of this type of preparation, we ask that you contact us at least a month in advanced so that we can make sure everything is scheduled appropriately. I recently went to see the tea houses with some of the other staff members here at the temple and was able to take some pictures to show you! Visitors to the temple may take photos of the tea houses from afar, however, please understand that taking photographs is not permitted during the tour of the tea houses. 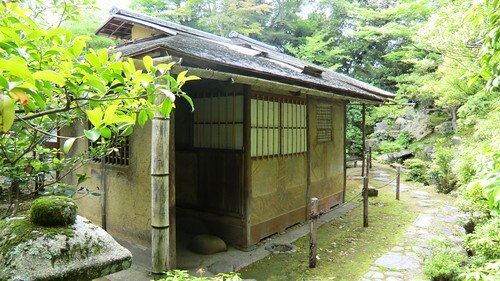 The pictures I have for you today are a special case, if you were to visit the temple and see the tea houses yourself, you would not be allowed to take photos. I will be updating with some photos of Hito-tei soon! 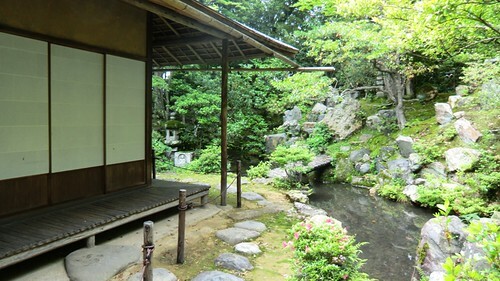 Ryokaku-tei has a lovely water feature around the back. 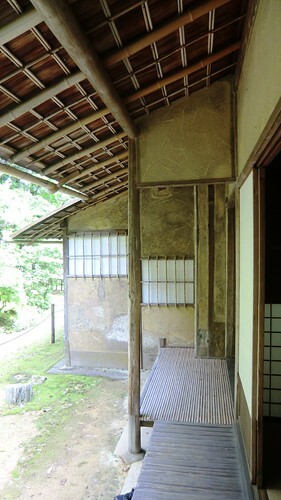 The inside of Ryokaku-tei, this room is where the tea ceremony would be performed.